When you look at kids and people in general, it’s easy to see that we all have differences in our “wiring,” in how our brains work. As a parent, you see these differences between your children every day. Your son is great at figuring out how long it will take him to write that English paper while your daughter always seems to think she’ll get it done in an hour, even though she never does. Or one child remembers everything she’s told, while the other can’t remember a log-in and password a minute after you just said it. The ability to plan, manage time and remember details are all mental abilities—or brain functions—known as executive functions. Executive functions also include the ability to regulate emotions, solve problems, be flexible, organized and communicate well, among others. Executive functions strongly influence your child’s ability to excel not only at certain tasks, like being able to plan ahead so all their homework gets done on time, but also play a part in determining how successful they may be in school, work and other roles in their lives. Strengthened executive functions will enable your child to be more successful academically, become better able to cope with life’s daily challenges, and improve their ability to relate with others. The good news is that science has shown that we can change our brain wiring and improve our executive functions. What this means for parents is that while your child may have difficulties at home or at school that are at least partially based on delays or differences in executive functions, through training and practice he or she can develop these lagging skills. Strengthened executive functions will enable your child to be more successful academically, become better able to cope with life’s daily challenges and improve their ability to relate with others—leading to a more satisfying and productive life. You can help your child develop these skills through brain training exercises—or better yet, games. Children naturally learn through play. Play involves the whole child in the experience and thus intensifies the learning experience. Practice is also important. In the brain, each time a behavior is repeated it strengthens the brain’s “wiring,” the ability to do the behavior more successfully the next time. Think of it this way: helping your child learn an executive function is no different than when they learn to ride a bike or recite the alphabet. Make it fun and keep at it, and you’ll see gains. Here are six activities you can do with your child to promote healthy brain development that will result in improvements in several key executive functions. By the way, these exercises not only help kids; they work for adults as well! 1. Elevator Breathing. Practicing deep breathing (“elevator breathing” or moving the breath to all parts of the body) helps improve memory as well as emotional control. Kids love doing this, so do it often. Start out by having your child sitting in a cross-legged position or lying down and breathing naturally. After she has practiced breathing naturally, say:Imagine that your breath is like an elevator taking a ride through your body. To start the elevator, I want you to breathe in through your nose. Now breathe out all your air. Now breathe in and take your elevator breath up to your chest. Hold it. Now breathe out all of your air. Now breathe in and take your elevator breath up to the top floor, up through your throat into your face and forehead. Hold it. Now breathe out and feel your elevator breath take all your troubles and worries down through your chest, your belly, your legs and out the elevator door in your feet. 2. The Brain/Body Coordination Workout. Our brains and our bodies are part of our whole self, and both parts need exercise. When we “exercise” them together, we are actually helping various functions of the brain work more collaboratively and stay in sync. Motor coordination is a function of our brain as well as our body. “Exercises” like those below promote integration between essential brain functions, leading to an overall better performing brain. Toe Wiggling. This greatly helps coordination. Kids of all ages can easily learn to do this. Every morning before getting out of bed, have your child slowly begin to move all their toes on both feet up and down, and then change to just the two big toes. Your Other Hand. Have your child try doing things with their non-dominant hand. If they are right-handed, have them use their left and if left-handed, use their right for things like writing, getting dressed and eating. Get Moving. You can do simple exercises with your child like sitting and touching your right elbow to your left knee. Do this five times and then do left elbow to right knee. Repeat several times. Or you can do the “windmill” by standing with feet spread apart and alternate between touching your left foot with your right hand and vice versa. Repeat several times. Tickle the Ivories. Learning to play either the piano or an electronic keyboard is one of the best ways to improve brain integration. An internet search will bring up instructional videos you can use at home. If you can find a Yamaha music program for children in your area, I highly recommend it for children as young as three up to young teens. 4. Family Game Night. 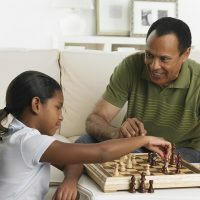 Playing games like checkers and chess, as well card games including UNO, Hearts, Go Fish and Speed teach problem solving, planning and cooperation (such as taking turns and handling frustration). Board games are also great for this, such as Monopoly, Sorry! and Yahtzee. Games like Jenga and Operation improve attention, concentration, coordination and frustration tolerance. Another plus is that playing games together is fun for everyone and helps strengthen family bonds. 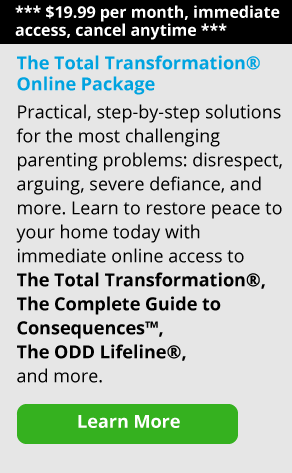 Try it once a week and see what it does for your child and your relationship. 5. Play Games Online. There are many great websites offering free games that are both fun and improve a wide variety of academic skills. This is “screen time” parents can actually feel good about! Check out www.kidsknowit.com, www.kidsmathgamesonline.com and www.learninggamesforkids.com. 6. Daily Talk Time/Triumphs and Challenges. In today’s world of constant texting, talking—really communicating—is getting to be a lost art. Taking time each day with each child to learn about their triumphs and challenges and sharing yours will greatly improve your child’s communication and conversational skills. Sharing your triumphs and challenges can also help them to learn problem solving skills. Family dinnertime is an awesome time to do this and a great tradition to start. Or read a book with your child and ask questions about what was happening. Discuss the events and also the feelings, not only how the characters were feeling but what your child was thinking and feeling as well. Share your thoughts and feelings as well. Taking time to teach, encourage and participate with your child in these activities will not only improve brain function but build relationships and reduce stress in all who participate. Play may be the work of the child but it is good for adults to slip into their own inner child now and then as well. So “exercise” your brain along with your child’s, knowing you are having fun together while promoting growth.